New Zealand Government announced it will allot NZD 35 million (EUR 20.4 million) for the refurbishment of 15 electric locomotives providing additional capacity for freight transport on North Island Main Trunk line. 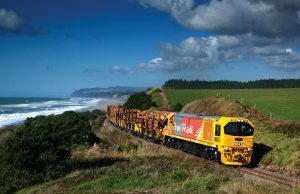 “The decision highlights this Government’s commitment to the growth of rail in New Zealand and will extend the life of the electric locomotives (EFs) by 10 years,” KiwiRail Acting Chief Executive Todd Moyle said. The 15 locomotives refurbishment includes the upgrade the electronic control systems, carried out at the Hutt Workshops over the next three to four years. In October, KiwiRail took possession of 15 new locomotives which were ordered before the EF decision was made. These are critical to boosting the busy North Island fleet, allowing a cascade of other locomotives to replace the oldest South Island engines, which average 46 years of age. Currently, the EFs are breaking down every 30,000 km on average, well below the fleet target of 50,000 km, and only eight of them are able to be used, Moyle explained. The government will commit new funds for railway transport, including NZTA funding business cases for further electrification of the Auckland rail network from Papakura to Pukekohe and adding a Third Main line in Auckland. KiwiRail has been talking with the Government about the possibility of further electrification and is also exploring the use of other fuel sources.